I knew I could count on the Lagniappe to produce a comprehensive article about the recent referendum election in Fairhope. Well done. The Lagniappe article sure clears up some of the suspected backroom motives of some. First off Forever Fairhope was backed by Can’t loyalist who invested in a political PAC. These are some of the same individuals who support Catalyst. So these two men hook up with Can’t and Catalyst backers to become involved in something that they knew little about! The fact that they say that they had no knowledge of problems within the Fairhope Catalyst City Council, speaks volumes. 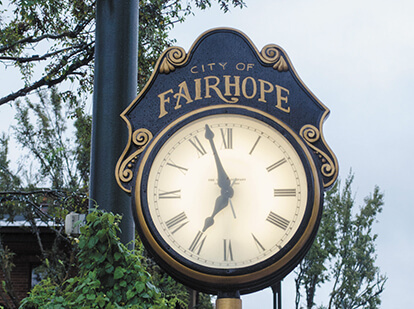 How in the hell could you have lived in Fairhope for the last 5 to 7 years and not know of any problems with the city government? Better yet how could you become involved supporting a particular view and be so ignorant of your local government? I suspect you were recruited to cover for the good ole boys and Catalyst, who like to stay in the shadows. Now I could be entirely wrong, but I don’t think so. To be fair both gentleman may have just woke up one morning and became civic minded and decide to do this on their own. But one must ask themselves how did they become involved with Catalyst backers? Both men admit their ignorance of Fairhope City Government so let’s give them the benefit of the doubt and see what their next venture is. Will it be running for city council in 2020, backed by the same PAC and Catalyst? Or will they spend a little time to research just how corrupt Fairhope has been and lift that banner again, against corruption. May I suggest Mr Thorson and Mr Pennington read the back issues of The Ripp Report. They can even contact me and I would be happy to meet with them to give them details of the corruption that has been happening for the last 15 years in Fairhope. They will need to bring several legal pads. Knowing or unwittingly your efforts succeeded in holding Fairhope in the grasp of Catalyst. If you were duped then you will be active in combating corruption, if you were willing partners of Catalyst then you will remain silent. Time will tell and we will be paying attention so I leave you with a little nugget of corruption, that I am sure you had no idea about. I too read where the two Catalyst flunkies haven’t been in town for more than seven years. I myself am fifth generation Baldwin County. You see, Catalyst is IMPORTING these flunkies. They are new to the area. I wish they would go back and finish messing up the place from which they came. Oh wait! They HAVE messed up their area which is why they are coming here to trash this area, make a few bucks, and move on. I wish somehow we could stop this cancer with Catalyst. Was she drunk that day or what? To say lines were a “little longer” is ludicrous. Ask anyone who stood in the referendum line at any time of the day. It was ridiculous and caused MANY folks to not vote at all. Worst coordination I’ve ever seen in all my years of voting. Hanks is a cant person. The Catslysts are CAN and they DO. Maybe they will namw a campus after Elliott. I heard that fairhope has more tards and winder lickers than they do gays. Sad state it is the germ of the eastern shore. Hows that new poo plant ripp? Traffic is getting worse daily and we are stuck with a catalyst ciuncil oh my. That lady with the fingernails is harmless. She is pretty smart but scared of dogs. Several people who have fed her and tried to help her have given media interviews stating that ‘Missy is not harmless’ and that they made a big mistake when then began feeing her. She is clearly not very nice because she monopolizes the kids’ park. Even if you think that she is harmless, she is stealing city resources and frightening taxpayers. She was such an embarrassment at the Fairhope Film Festival. The police department should obey Alabama laws. If the City Council wants to keep her, they need to take her home or else indemnify the City against lawsuits that will definitely be filed if they don’t get her booted from public areas. Again, they are so welcome to take her to their own homes within the city. Additionally, are you aware of the $100 Million dollar lawsuit ‘Missy’ filed when she was living in her DIP storage unit? This woman is a legal liability in too many ways to count. Jack can take her home if he wants her. Sounds like “Missy” may be a liability surprised city officials are looking the other way. I respect your opinion however the present form of government does NOT fit your outline, that is the problem. Fairhope is not a sleepy village on the bay with a population of 5000. Currently the city has a population of 18,000 and another 18,000 living in Fairhope outside city limits.Please remember the apartments, the council went AGAINST the majority.